Colt serial codes could be hard to read in the case you are not experienced in the field. While these codes have little impact on the firearms performance, they are one of the best ways to trace back the origin of the gun. The numbers and possible prefix (or suffix) characters contain a lot of information about the weapon history but not everyone can understand them accurately. If you truly want to know how to read Colt serial numbers then this article got something for you. 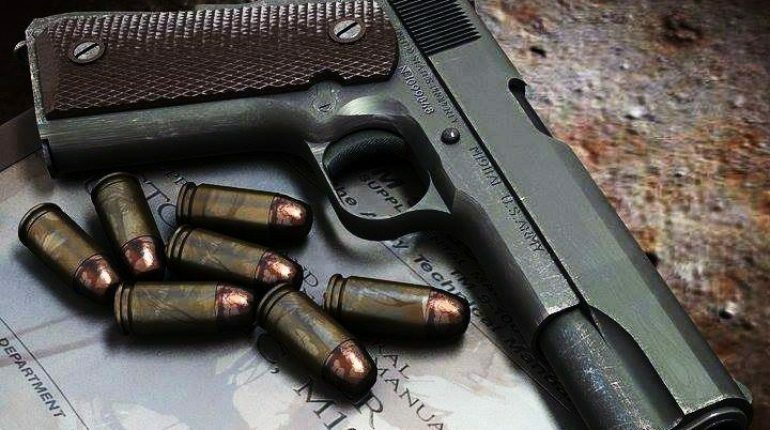 Below are some solutions to read the numbers along with interesting information about Colt serial rules and regulations. Colt serial rules and regulations. Colt offers a unique research service to their customers, it provides you with the brand official archive letter as proof of your gun history. On the letter are details of the firearm original specifications and features plus the delivery address as well. As a whole, the archive letter contains important historical facts about your gun which considerably enhances its collectible value. Custom modifications like finish, barrel and caliber changes or aftermarket engraving shall not be included though. Non-manufacturer markings won’t be addressed as well. Therefore, the letter descriptions may not completely match the current configuration of the gun. 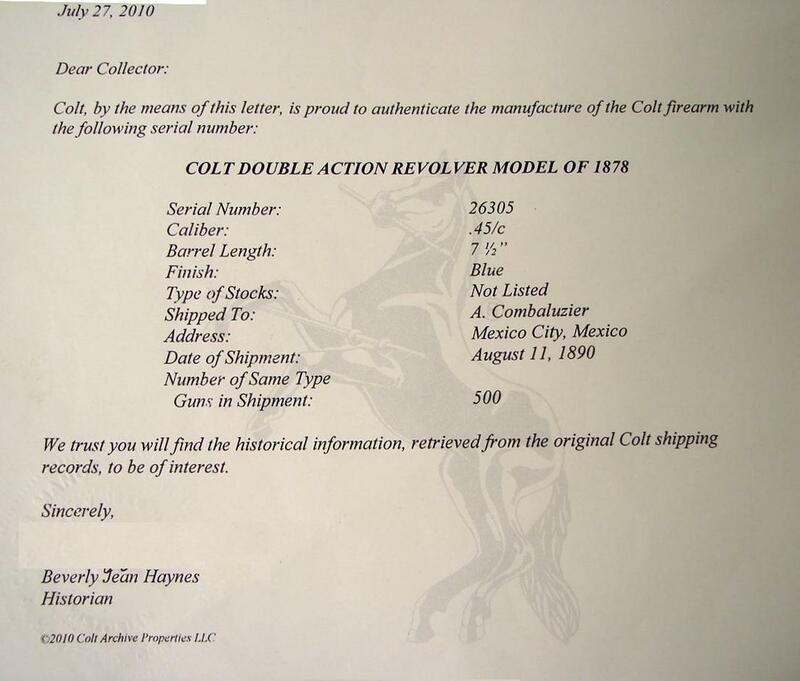 In order to get the letter, you have to pay a certain amount of money, depend on your Colt model. In most of the case, the fee is around 100$ for common products but it can reach up to 300$ for vintage stuff like the 1851 Navy. But that is only the base value, other factors like special engraving and shipping destination could raise the final price substantially. Since it’s quite a costly method, the archive letter is often used to tie a particular firearm to a well-known individual in the past. This is still the best method when it comes to reliability though. At this part, we will take a look at the meaning behind Colt serial numbers and prefix (or suffix) characters on a variety of guns. Again, some Colt models do share their codes with each other so what you find here may not be applicable in certain cases. However, for most of the time, you can get the general idea of the Colt code by checking out the information down below. Combine them to one of the methods above and you should have little trouble absorbing Colt serial rules and regulations. Some are pretty easy to figure out since they are the abbreviation of the weapon name. For example, SA is Single Action, NF is New Frontier, SP is Sporter, MT is Match Target and so on. On the other hand, a capital “C” prefix or suffix is used to indicate that the model is for Commercial use. In certain cases, these characters are simply used to show the year of manufacture and don’t have any secret meaning. But in order to know the age of the gun, you have to find a reference table to crosscheck the character with the manufacturing year. 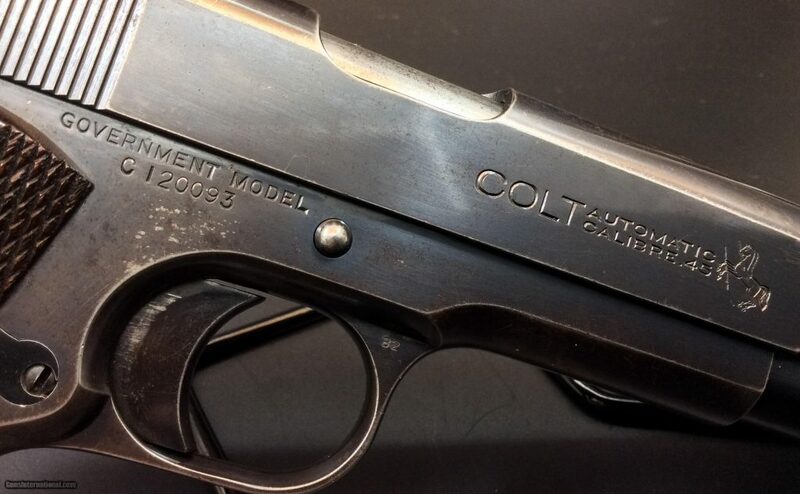 Technically speaking, Colt serial numbers jumped all over the place with no set pattern so you cannot understand them without a reference table. Design changes could suddenly change the progress of the serial numbers. 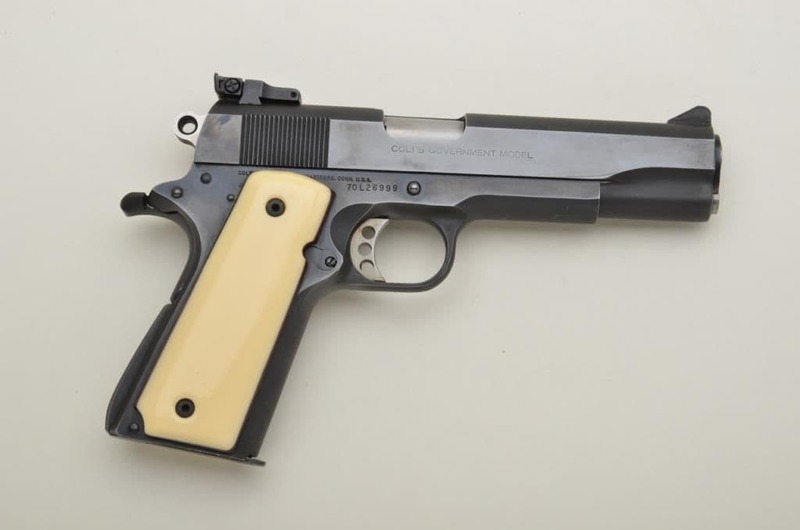 For example, let’s take a look at the 1970s Colt M1911 commercial production. Started in 1912, the M1911 Commercial and its A1 variant got normal serial numbers with a simple prefix (or suffix). But in mid 1970, the serial numbers are not a continuation of the previous ones. Instead, now they have a “70” as the first two digits. The numbers style remains up until mid-1976 before the “70” is moved to the last two digits. It worth the time and effort to check out Colt model code as well since it contains lots of information about the gun characteristics. Having a good understanding of the code shall let you recognize a particular model from its cousin with ease. A Colt single action model usually possesses 1 character prefix and 4 numerical digits. The prefix tells you the type of frame while the digits indicate the weapon version, caliber, barrel length and potential model variation. 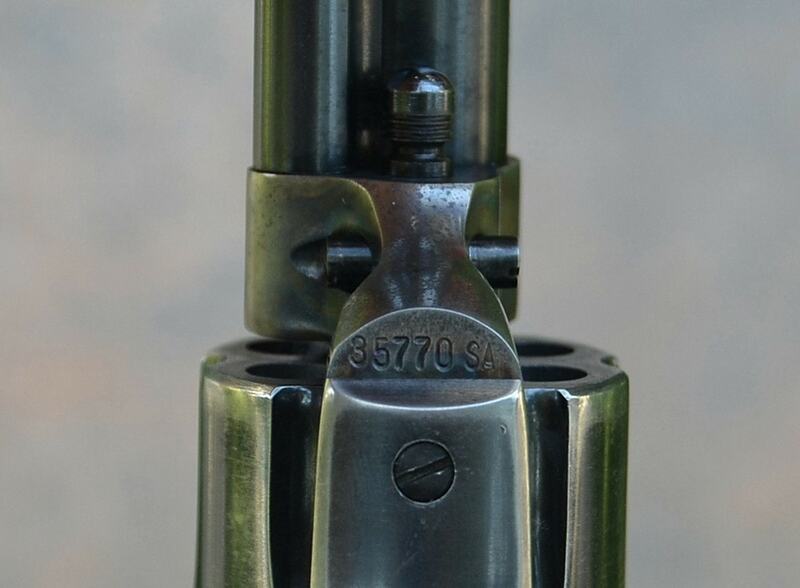 For the first digit, “1” means your Colt is the first model with a basic frame while “2”, “3”, “4” etc are the later versions. ”2” uses a frame from Colt Custom Shop while “3” utilizes a non-standard frame. “7” and “8” are employed occasionally to specify special variants. In the third digit is the caliber of the gun: “3” is 3 or 4 inches, “4” is 4.75 or 5 inches, “5” is 5.5 inches, “7” is 7.5 inches and “1” is 12 inches. Finally, the fourth digit is the finish or stock of your weapon: “1” is nickel or full blue finish, “2” is nickel or blue casehardened finish, “3” is nickel finish, “4” is Royal Blue casehardened finish and “6” is nickel finish. As you can see, the exact meaning of the fourth digit depends largely on the preceding digits. The fourth digit has been used many times as a way to different later models from earlier ones. And that is most of what you should know about the subject, not too hard to take in, right? It’s a bit tricky to learn how to read Colt serial numbers at first but you should get better as time goes by. 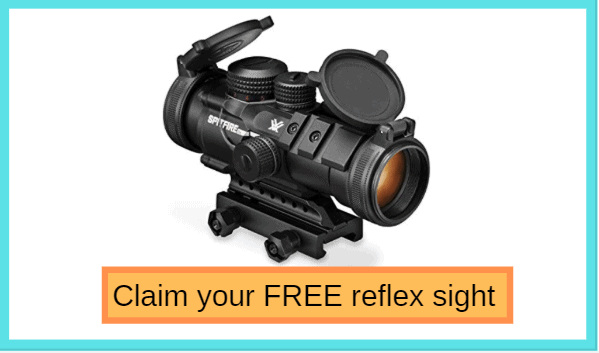 With the information above about, now you will have little trouble tracing the origin of your gun.